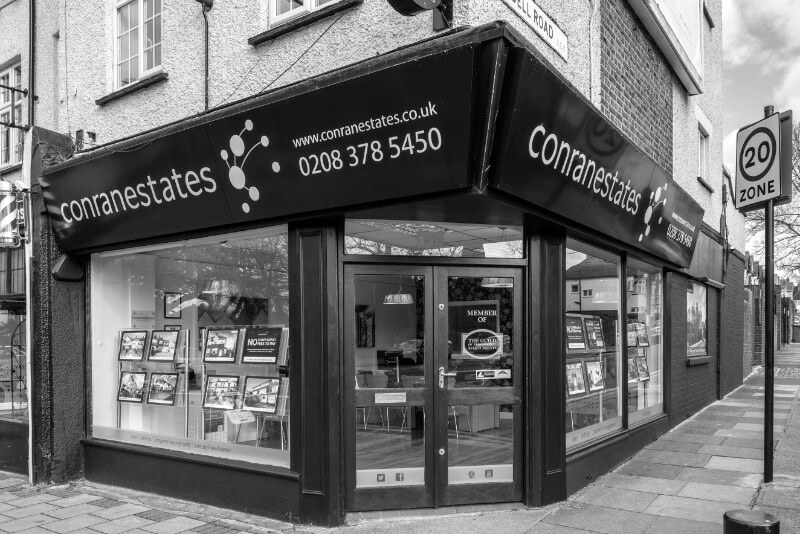 Conran Estates Eltham are recognised as the local property professionals with extensive knowledge of Eltham and the surrounding area. Their customer focused approach delivers an exceptional service to their clients. Being at the forefront of technology and innovation they offer truly outstanding marketing strategies coupled with their know – how enables the best possible outcome for both vendors and landlords alike. You may well have come across the Conran Estates eye catching property pages in local magazines as well as their monthly double page in the local SEnine community magazine. The double fronted office is set on a prominent location between Eltham High Street and Eltham train station and customers are always greeted warmly for a chat with a nice cuppa. Eltham is a vibrant place abundant with charm and character and rich in historic landmark buildings. Most notable of those is Eltham Palace which was once the childhood home of King Henry VIII and rebuilt as an outstanding Art Deco home by the Courtauld Family in the 1930’s. This is has now become one of the top tourist attractions within the South East of London. Other landmark buildings includes the Tudor Barn a Grade II listed building, built by William Roper in the 16 century as an outbuilding to his manor house. The building has now been sympathetically restored and now serves as a restaurant. The Bob Hope Theatre is also an important cultural facility that also attracts many visitors. Eltham High Street will soon become the destination of choice Street as is currently undergoing a £6.6m improvement scheme as part of the Council’s regeneration masterplan for the town centre. This will also include a six-screen cinema complex. Eltham also offers excellent transport links into London, from Eltham main line station, London Bridge is within 18 Minutes. We love Eltham because of its Culture, Diversity and Community spirit. In short, Eltham has just so much to offer!